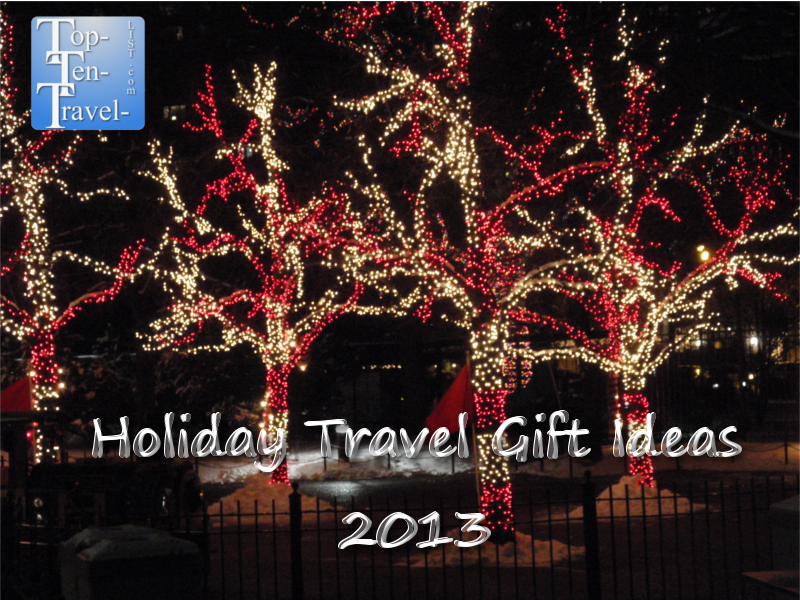 2013 Holiday Gift Ideas for Travelers - Top Ten Travel Blog | Our experiences traveling throughout the US. Only 3 weeks to go until Christmas! 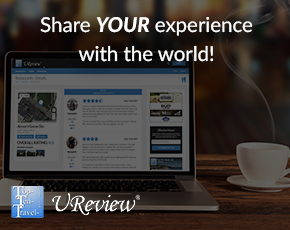 Now is the time to start shopping for the travel fanatics on your list. I have organized a list of some of my favorite travel products. Take a look at some of the top electronics, luggage, beauty products, and travel accessories to add to your holiday wishlist. I love the Apple iPad Mini , the most stylish and convenient of all the tablets available on the market. The simple design gives the Apple iPad a clean, modern aesthetic. The small size makes this tablet easier to take on the go. A great way to get all the benefits of the original Apple iPad without all the bulk. Another benefit: the iPad mini is $100 cheaper. The thinner, lighter Apple iPad Air makes it especially attractive to travelers. At only one pound, this tablet is barley noticeable in your purse. The display is fantastic and the speed is 2 times faster, making it worth the $499 starting price. The amazing Apple MacBook Air weighs only 2.4 pounds. This laptop is great for air travel as it doesn’t add any unnecessary weight. The battery life is also amazing, with the 11 inch getting 9 hours and the 13 inch getting 12 hours. The Kindle Fire HDX 8.9 is perfect for air or road travel. No need to cram multiple books into your purse or carry on bag. The newest model features a light design (only 13.2 oz), a fast 2.2GHz processor, and an amazing display. The Google Nexus 7 Tablet is a fantastic budget-friendly alternative to Apple’s more pricey Ipads. The display is sharp and and the light weight design makes it easy to take with you wherever you go. I never take a road trip without my SIRIUS Sportster 5 Satellite Radio Receiver. I have gotten through many long road trips courtesy of my Sirius. One of my favorite features of Sirius comes during the holiday season with Sirius’ 7 unique commercial free holiday music stations. I also purchased the SiriusXM Portable Speaker Dock, which allows me to listen to all my favorite holiday music in the house (great while decorating the tree, hosting holiday parties, and baking cookies!). I never leave the house without my fabulous Teavana tea tumbler. This handy travel container allows me to take my loose leaf tea with me on the go! I love the fact that I can take my loose leaf tea as opposed to settling for a lower quality tea bag. It keeps my drink hot for hours. It also works well as a coffee mug – just take the tea strainer out. Makes a great holiday gift for tea and coffee drinkers. Contigo sells the most stylish, high quality travel coffee mugs. The Contigo West Loop Stainless Steel Travel Mug in stainless steel is a particularly attractive model. It holds 20oz, which is the perfect size for car travel. Contigo keeps your drinks warm for up to 6 hours. It definitely holds up to its’ promise of keeping coffee warm, much longer than the usual mug. This makes a great holiday gift for hard to shop for family members. TravelRest – The Ultimate Inflatable Travel Pillow and Neck Pillow is the perfect option for any type of travel. Because it is inflatable it is easy to take with anywhere. It attaches to any seat and stays firmly in place. The ideal travel comfort pack – the SleepMax Advanced Travel Neck Pillow Kit w/ Eye Mask and Ear Plugs will allow you to avoid the dreaded stiff neck. The memory foam pillow is comfortable, molding to your body. The eye mask is a treat for the daytime traveler trying to avoid the bright sunlight. And the ear plugs come in handy when the passenger wants to block out stressful noise. I take this pack with me everywhere! The Brookstone NAP Travel Set Pillow and Blanket is the most comfortable, softest blanket you will ever find. The small size is perfect for taking with on the go. You will have no problem getting in a nap on the plane or in your car with this cozy blanket. I also use it at home as it is perfect for cuddling up on the couch on a cold winter’s night. The Vinturi Travel Wine Aerator is ideal for aerating your wine while you are away from home. I received the original full-size Vinturi aerator as a gift and liked it so much that I decided to purchase the travel version as well. As an added bonus, it comes with a handy carrying case. The Air-O-Swiss Travel Humidifier is the perfect size for your suitcase. It comes in a handy travel case too. With this humidifier, you conveniently attach a water bottle to the base, while a cool mist eases your sinus and allergy issues. 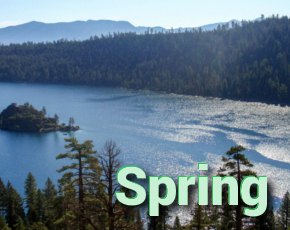 Works great when traveling to dry climates like Arizona and Nevada. Oakley Radar Path Sunglasses fit great, look great, and work well even during the most intense recreational activities. These sunglasses make the perfect gift for those hard to shop for people on your list! Ever wonder what to do with all your bottles of shampoos, lotions, and other body products when you take a vacation? If you are like me, they end up all over the place in your suitcase, crammed into any open spaces. The Household Essentials Hanging Cosmetic and Grooming Travel Bag is great for organizing all your travel products on the go. There are 10 different compartments, making it easy to find what you need (who wants to search while on vacation?) The hook on the bag allows it to be easily hung from any rack for easy access. I love Kate Sommerville’s products; they work wonders on my skin. The ExfoliKate Intensive Exfoliating Treatment is my favorite by far; I am able to get a fresh, dewy complexion without going to the spa. It comes in a handy travel size so you can bring it with on the go. The main benefit of Kate’s line is the combination of natural ingredients and new technology. Another great skincare line comes from Dr. Perricone. Many of you have probably seen him on various TV shows. I was hesitant to try the products out at first, however, I am now a dedicated customer. I came across this line while looking for a product to decrease the look of droopy eyelids (the Perricone MD Acyl-Glutathione Eye Lid Serum actually works to improve the look of eye creases – the only product I have ever seen that can do this!). I recommend the Perricone MD Power Treatments Travel Set – this 4 piece set allows you to try out the best products in the line ( the eyelid serum, a vitamin C ester serum, a formula 15 serum with Alpha Lipoic Acid, and a multipurpose Cold Plasma cream) and is small enough to take with wherever you go. This stylish & convenient Kate Spade Cosmetic Case is perfect for carrying all your favorite beauty products with you when you travel. I use this case for all my high end products, so I can easily separate my bathroom assortment. It also makes a convenient storage space for your makeup, allowing you to keep it separate from other bathroom necessities. The Nikon D5100 Digital SLR Camera is the ideal camera for starting photographers. It contains all the auto settings, but also allows you to adjust the settings as you become more comfortable doing so. You get a lot of camera for the small price tag. It’s a great buy for anyone starting out in the world of DSLR photography. Michael Kors is one of my favorite handbag designers. This beautiful Michael Kors Hamilton Vanilla Tote features the iconic MK logo. I take this bag with me on any weekend trip where I need to pack a larger bag, but still want to look fashionable. This stylish 4 piece Travel Concepts Zebra print luggage set allows you to travel in style (and easily find your pieces amongst the sea of black in the baggage claim). American Tourister sells quality luggage at affordable prices. There are numerous styles and colors available to choose amongst. I love this 3 piece purple American Tourister spinner set. The spinner wheels allow you to move in all directions, making travel much more convenient. Another great item is the American Tourister 21 inch Upright Suitcase. This is the perfect size for carry-on as it is roomy, but still falls within the height requirements at all airlines. These eBags Packing Cubes ,which come in a 3 piece set (in a variety of different colors), make packing and organizing for your vacation much easier. They are great for people who want to keep their bag tidy, especially after arriving at the hotel. You no longer have to have a big pile of clothing thrown all over the place. Take out the stress of your trip by compartmentalizing your suitcase. These bags also work well for separating different family members belongings. Which of these items are you adding to your holiday wishlist?